Remember life before Batiste? I bet many of you can’t? 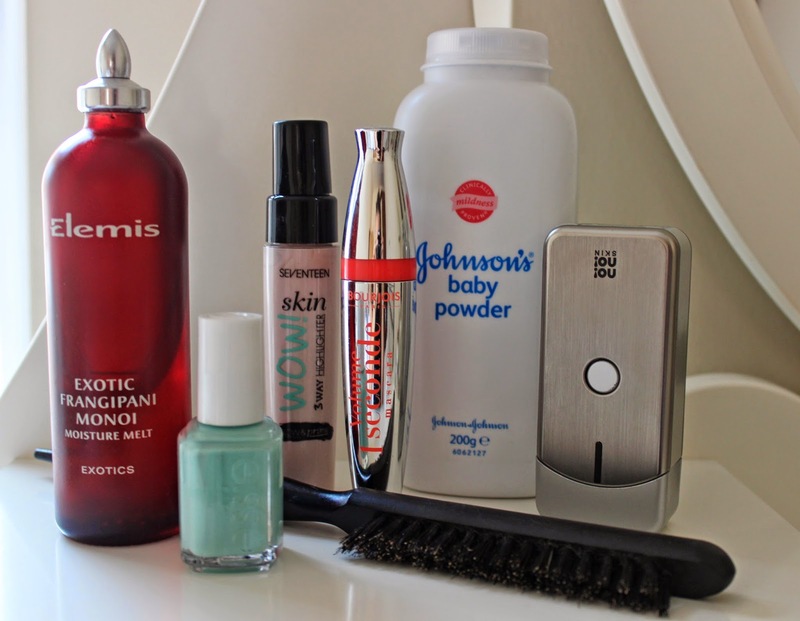 But back in those dark days we used talc to fix greasy roots – my Mum still does! So a few weeks ago when my roots resembled an oil slick, I tipped some talc into my roots, let it work its magic overnight and the next morning... voile dry, healthy looking roots. Okay it’s not the easiest to apply. There’s a good chance it will end up all over your shoulders (and the floor) and apply too much and you’ll look like a Golden Girl, but left over night, it works wonders and for a fraction of the price of dry shampoo. I’ve had this bottle two months and barely made a dint. And it doesn’t have to be branded – no frills talc works just the same. Indulgence in a bottle! Whenever I’m feeling a bit “bleugh” I treat myself to a lovely hot bath then cover my entire body with Fangipani Monoi Oil. The exotic fragrance is aromatherapy at its best and the super luxurious oil provides serious moisturisation to dry skin. Sit it in hot water for five minutes to melt before applying the oil generously. The warm oil feels extremely comforting, plus it absorbs rapidly so there’s no need to wonder around neked waiting for it to air dry.... unless of course you want to. This stuff gives rocking volume, and fast! I’ve been completely hooked since I picked this up a few weeks ago. It’s my current daily go-to mascara, full review here. 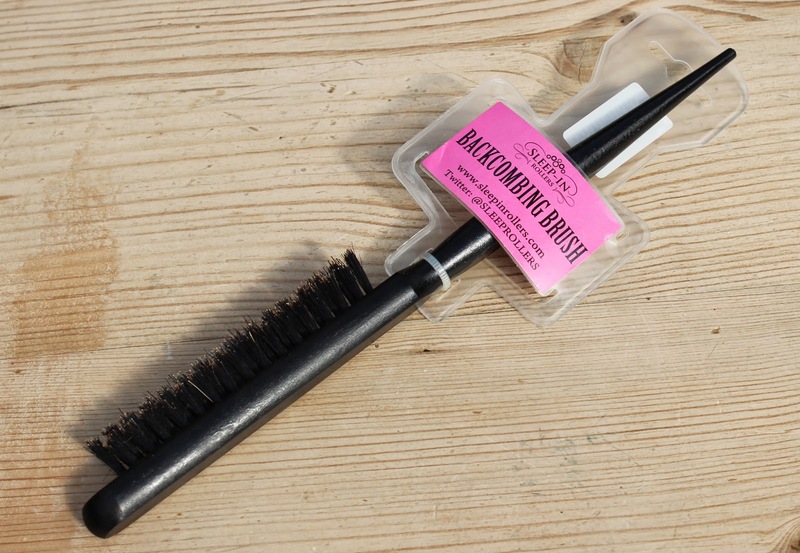 These little backbomb brushes are so good, I’ve bought two! I started with the Vogetti Wonder Brush, which literally transformed my hair and is with me at all times! So when I realised Sleep in Rollers did a version, I purchased it as a backup. It’s absolutely ideal for backcombing and teasing roots and because they’re made with natural bristles they’re kind to hair and can be used to brush hair and tease out tangles. An oldie but a goodie! It wouldn’t be summer without Mint Candy Apple. For me, as soon as the sun shines and the sandals come out, so does MCA. A stunning, tan enhancing, minty shade that works every time. I rarely ever finish a bottle of polish, but this one’s nearly done and WILL be on the repurchase list. This handy little spot zapper has saved the day many times in the last month stopping nasty spot in their tracks and clearing them up fast! Full review here. The ultimate cream higher, I’ve been really loving this lately. I apply it after foundation, dabbing it anywhere I want to glow – cheek bones, forehead, cupids bow etc. leaving behind a beautiful pearlescent glow. Let me know what you think of my favourites and please share yours! The Essie Mint Candy Apple is so cute! OMG ! That mint nail polish! Need that in my life..
Wow, that mascara looks impressive. I've never really liked a Bourjois mascara before but you've convinced me to give it a go! I also love the Seventeen Skin Wow, its an amazing bargain buy. I want to try the baby powder!